SOLD! 4 Lots in Glen Haven Estates on Lake Livingston! I recently wrote a post about how Glen Haven Estates has used the low lake levels as an opportunity to improve their community. In that post I mentioned that I was getting ready to list some lots in that subdivision. Well, PRAISE THE LORD! Those lots CLOSED yesterday!! Glen Haven Estates is located on the north end of Lake Livingston on White Rock Creek. 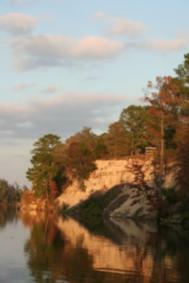 It is located near Goat Island AND the Honey Hole. The subdivision has a waterfront community park with a boat launch, community fishing pier, picnic tables and restrooms. JUST LISTED! 615 Holly Lane - Glen Haven Estates on Lake Livingston!